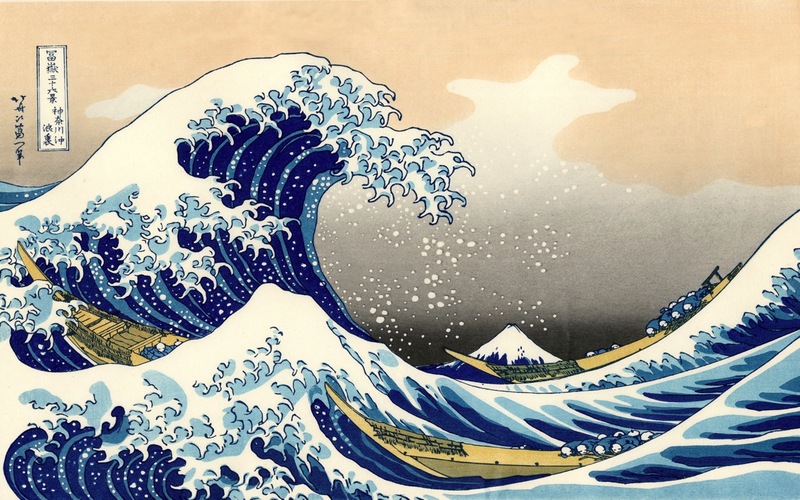 Inspired by Japanese artist Hokusai's masterpiece The Great Wave, Year 6 are starting on a creative voyage to bring the iconic print to literary life! We spent some time poring over the features of painting: the spray, the wave, the boats and, well hidden, Mount Fuji. 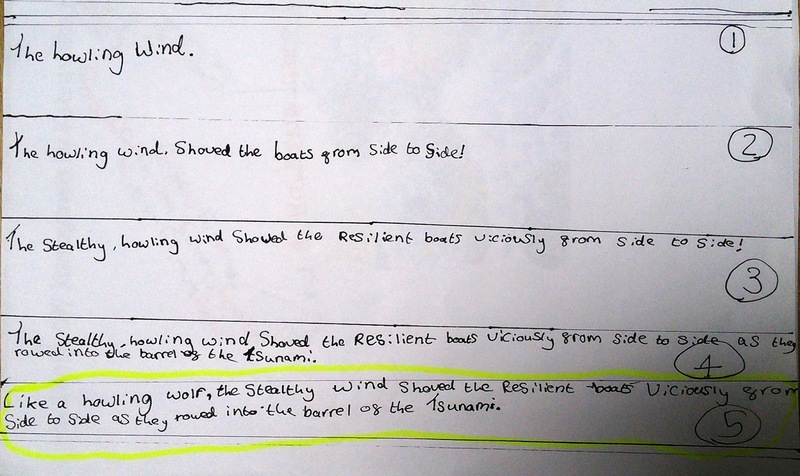 After reading an account of Ellen MacArthur's sailing voyages, we began to generate some cutting edge vocabulary to give our writing some sparkle. We chose personified verbs for the different features. 'Grabbing', 'scratching' and 'grasping' for the finger-like lip of the wave; 'screaming', 'slapping' and 'whistling' for the wind. The group selected similes for each of the features. The wind became 'a bellowing dragon', the boats were 'a floating feather'. 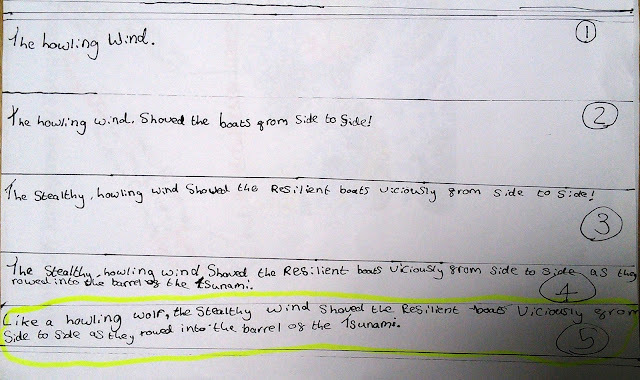 We then wrote complex sentences using the vocabulary, building the complexity one stage at a time (see below). 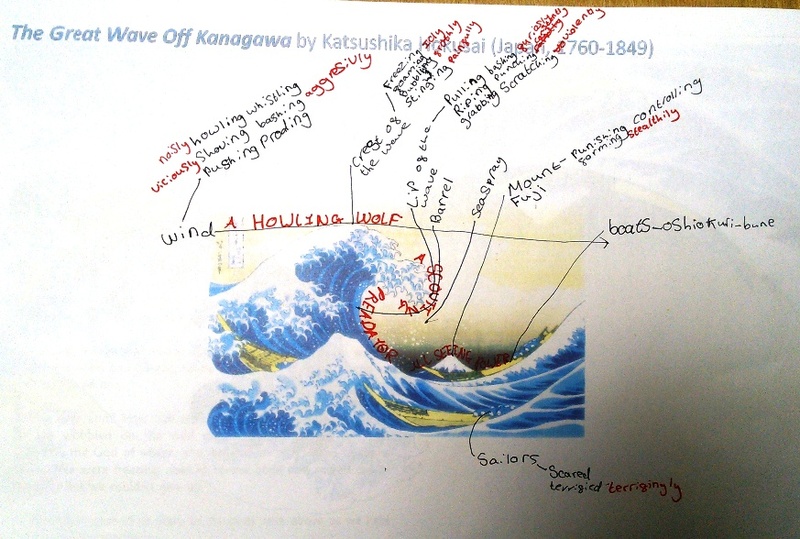 We even tried to include some Japanese characters! The results were very promising and the children developed some very arresting, captivating images. Now we have applied some excellent vocabulary, the children are ready to write!